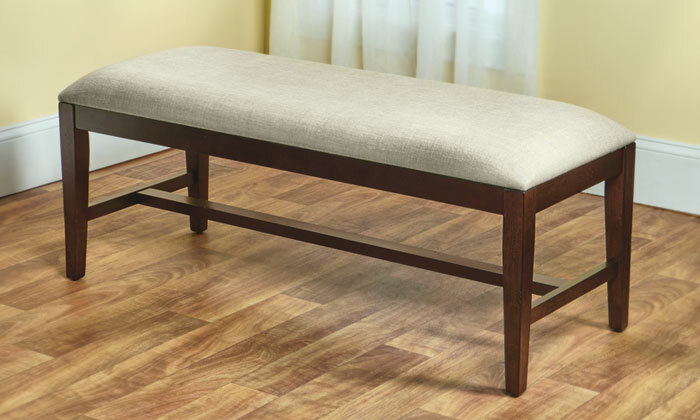 Our 4’ bench comes with a linen seat, which is easy to remove for recovering. 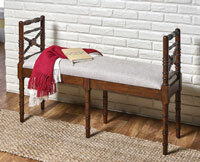 It is made of Asian hardwood, which has a dark cherry with distressing finish. Simple assembly. 48”L x 18.5”W x 20”H; 36 lbs.